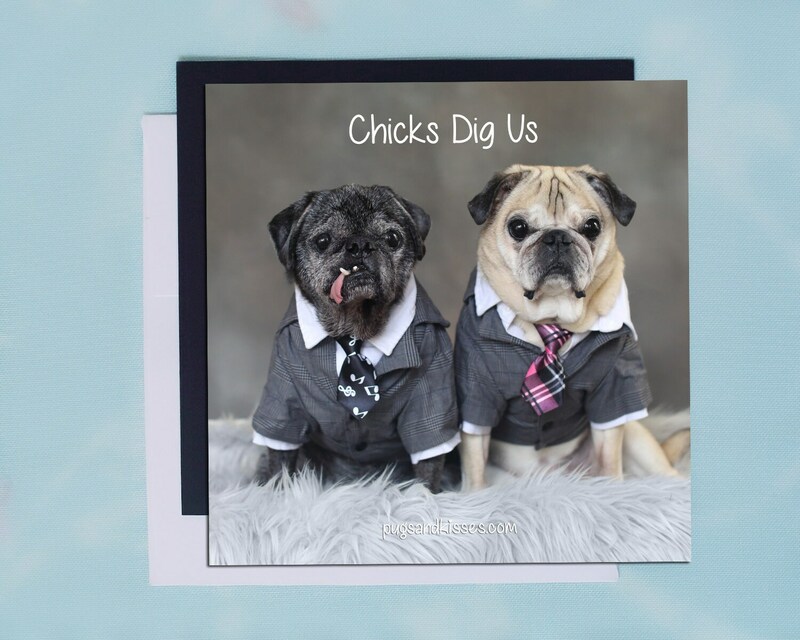 This item is one funny and adorable magnet featuring pugs dudes, Cedric and Ollie. These cuties are sure to light up your heart every time you see them on your refrigerator...or any other place that takes a magnet! This magnet makes the perfect little gift, too. Who can resist these handsome hunks, lol?!! 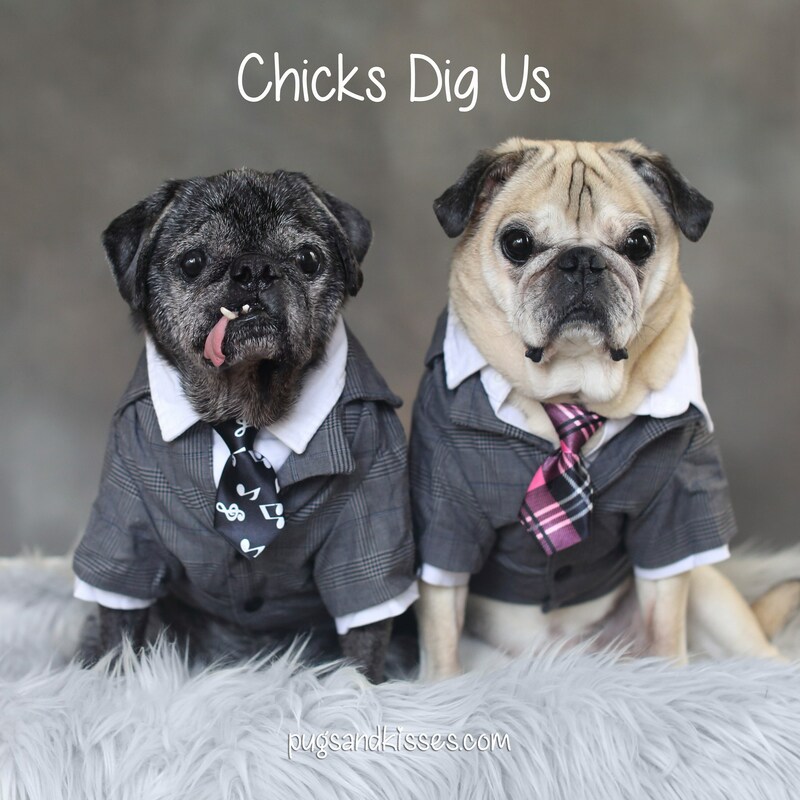 This item is one, "Chicks Dig Us," magnet by Pugs and Kisses. The magnet is 5x5 inches. It is beautifully printed, can be placed anywhere that takes a magnet and it comes with a high-end, thick white envelope.